We provide you the call management solutions you need to keep your business running smoothly 24 hours a day, 365 days a year. We blend unsurpassed customer care and industry expertise with the high-efficiency of today’s telephone and web-enabled technology to give you exceptional service. We are scalable to serve businesses of all sizes and proudly offer a vast range of professional, efficient services. 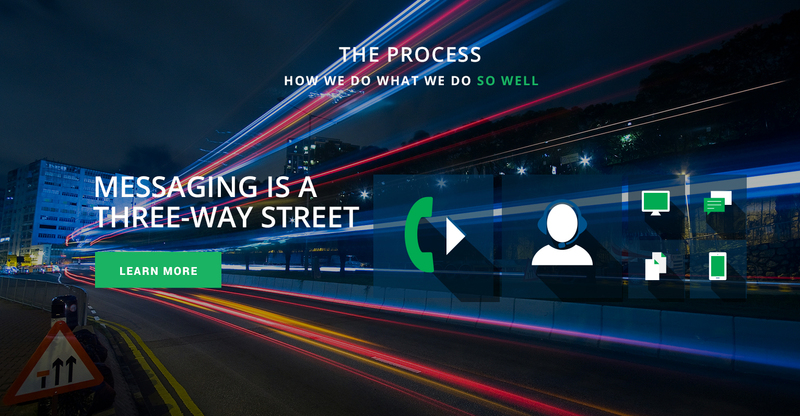 At Alphapage, we consider ourselves an extension of your business and are committed to going the extra mile to enhance your caller's experience and resolve your caller's needs. 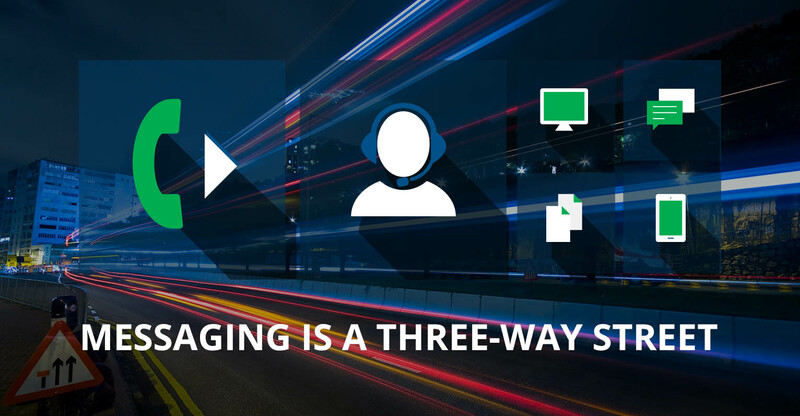 In an effort to provide our customers with the widest range of innovative and customized options, Alphapage employs some of the most sophisticated technology available in the industry. We're committed to using technology to create smarter, faster and more efficient solutions. "We have a very complicated on-call schedule. Alphapage is very accurate in following multi-faceted protocols. They are highly responsive and personal. I'm never left hanging." In our business, customers can immediately judge the quality of your service by the sound of the voice on the other end of the line. We actively seek experienced, trained operators who not only have experience in the answering service industry, but also have a passion and interest to genuinely serve our customers. 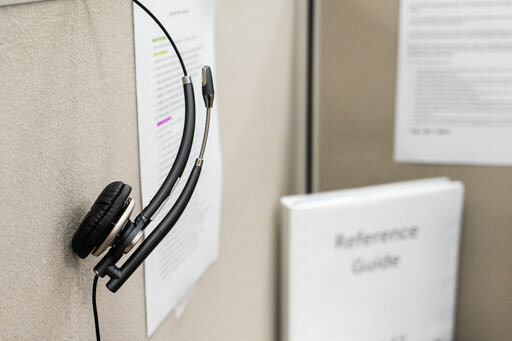 Our agents' ability to listen, demonstrate respect for every caller, and take a solution-oriented approach to each call are some of the 'soft' qualities we seek in our operators. Alphapage is actively involved in maintaining best-practice industry standards through active participation in industry trade associations. We have been a member of both the National Amtelco Equipment Owners Association and The Association of Teleservices International for over two decades. 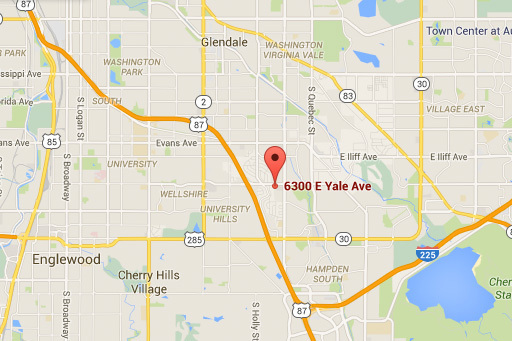 We are also proud members of the Denver/Boulder Better Business Bureau and the Denver Metro Chamber of Commerce. 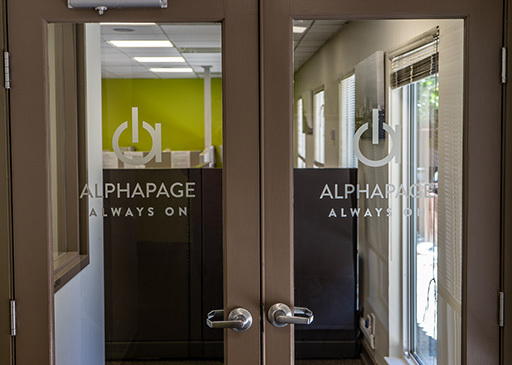 Alphapage is proud of our strong record for both hiring and retention. 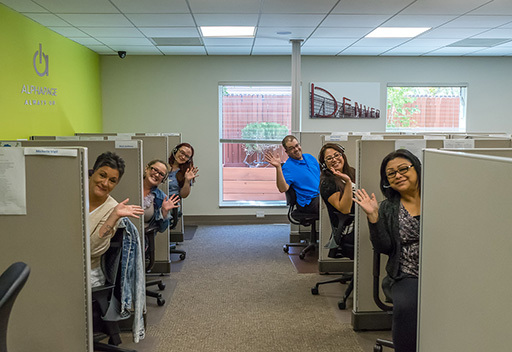 More than 60 percent of our employees have been with us for several years. We seek loyal, committed employees who have strong listening, verbal communications and problem solving skills. We also are looking for individuals who share our cultural values of honesty, respect, passion and creating solutions. Alphapage LLC of Denver, CO has been honored with the exclusive ATSI 2017 Award of Excellence for the twelfth consecutive year. 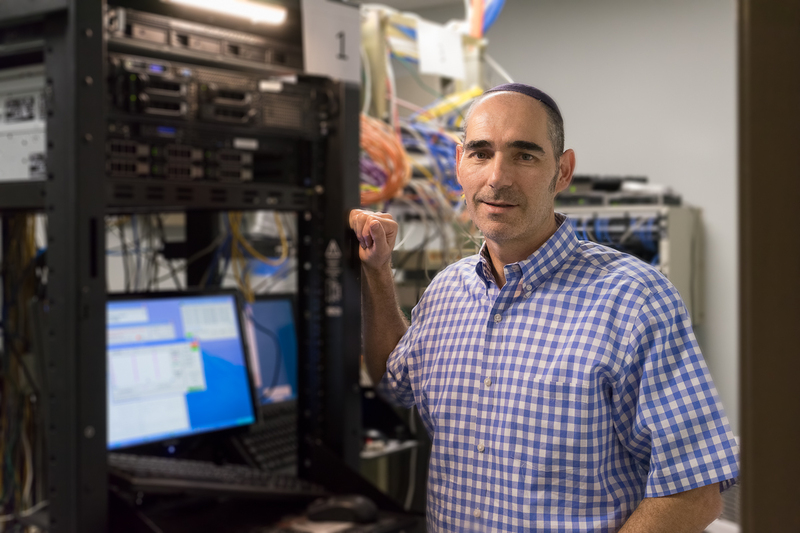 This award is presented annually by the Association of TeleServices International (ATSI), the industry’s trade association for providers of telecommunications and call center services including telephone answering and message delivery across North America and the UK. Now a twelve-time winner, Alphapage, LLC earned the Diamond Plus Award for Eight consecutive years of world class customer service. Independent judges are contracted by ATSI to evaluate message services over a six month period. The criteria for scoring include: courtesy, response time, accuracy and overall service to their clients. 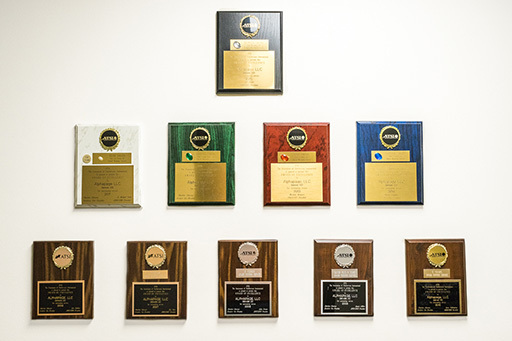 If the company scores 80% or better in ALL categories, they are presented with the coveted ATSI Award of Excellence. ATSI extends its congratulations to the staff of Alphapage, on their proven quality service to their customers. We have a very complicated on-call schedule. Alphapage is very accurate in following multi-faceted protocols. They are highly responsive and personal. I'm never left hanging. They do what they say they will do and they get it done. They are responsive to problems and have integrity. Their supervisors and management team are strong, loyal and courteous. It's the way they answer their phone. I have never had a complaint. They're on top of my messages. Alphapage does an outstanding job considering the amount of information and business knowledge they are required to know for our account. The operators are consistently accurate, courteous, and excel in resolving issues that our callers have. They are highly professional and patient with our customers in every situation. Very pleasant people to work with! We appreciate the low hold times and efficiency in answering calls & delivering our messages. We have been with Alphapage for years! And we continue to be grateful for your kind care and compassion of our patients. I was injured in an auto accident this past month and had to take significant time off work. The staff at Alphapage has been fantastic in accommodating my needs and handling all of my calls. They stepped right in and took over all calls and helped me retrieve phone numbers and other patient information that I don't have at home. Thank you to all the operators for your kindness and courtesy! The service is always professional and consistent. I have referred several colleagues who are now happy clients of Alphapage! Excellent service and professionalism. We appreciate the correct pronunciation of our business (we have had trouble in the past with other services consistently mispronouncing our name). 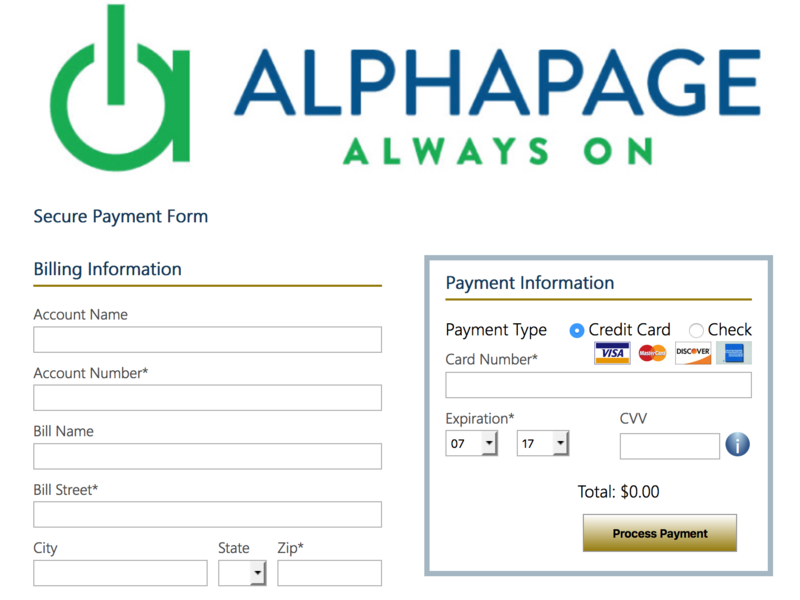 The attention to detail displayed by everyone at Alphapage is the best we've experienced. And we proudly refer you to others who are looking for a superior service. Are you currently using another service provider?